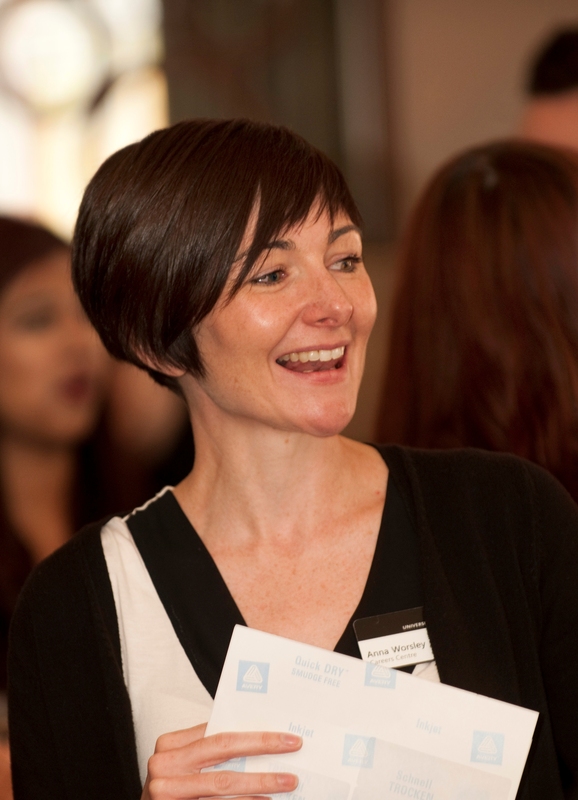 Meet another of our staff members, Anna Worsley. Find out about her role at the Careers Centre. I’m a Work Placement Project Officer. My role involves creating and promoting work experience and placement opportunities for University of Leeds students and graduates. The job’s really varied; one minute I might be in a department giving a talk to 2nd years about their options and trying to persuade them to take a placement year, the next minute I’m on the phone to an employer and creating a graduate internship opportunity. I really enjoy seeing the life-cycle of an internship…from developing the role (in conjunction with an employer) through to advertising and recruiting for it. Sometimes recruiters ask us to make a job offer and it’s such a lovely feeling telling a candidate that they’ve got the job…you can really hear the joy & relief in their response. Sometimes we’re as excited that they’ve got the job as they are!! I also love hearing about the amazing things our students and graduates achieve whilst on placement or an internship, it’s great when an employer tells me how impressed they were with their intern. It helps to be organised! When the Leeds Internship Programme is at its busiest I can be dealing with over 20 internships all at various stages of recruitment so I need to keep track of when job adverts are closing, who’s been shortlisted and when interviews are taking place. The whiteboard in our office always has plenty of job titles and candidate names scribbled on it! Good communication skills are also really useful. In my role I get to deal with a lot of different people and it’s important to communicate clearly and effectively. I used to work for an organisation that organised gap years so I guess my experience from there helps in this role. It’s all about helping candidates prepare effectively and ensuring they get the most out of the experience. – Check out the Leeds Internship Programme, we create some fantastic opportunities that are exclusive to our students and graduates. – Think about gaining experience from your 1st year…recruiters are starting to offer opportunities to 1st years so look at what’s out there. – Little things on your CV can help you stand out, think about what you’ve done that’s relevant to that role and tell an employer about it. – Use our services!! 75% of students who successfully secured a position on this year’s Leeds Internship Programme had used the Careers Centre. All our services are free so why not use them?